The latest attempt to re-release the beloved PC series No One Lives Forever is dead in the water. The saddest part? It could have been rescued, if not for the apathy of big corporations. 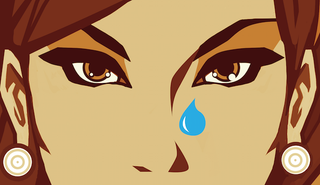 For years, it's been impossible to buy No One Lives Forever or its sequel through popular online services like Steam, Humble, or GOG.com. Plenty of PC gamers today would love to play or re-play the games, but the question of who controls the NOLF intellectual property has proved famously difficult to answer, and the series has remained unavailable. You may remember when a company called Night Dive Studios applied for a trademark on the No One Lives Forever name back in May of last year. Night Dive is the studio responsible for digging up the licenses for defunct PC games like System Shock 2 and the Wizardry series, getting the games working on modern PCs, and re-releasing them on platforms like Steam and GOG.com. So, Night Dive applying for a trademark was an exciting development. Originally released in 2000, No One Lives Forever and its 2002 sequel A Spy In H.A.R.M. 's Way are two of the great lost PC games—I revisited them in 2013 and found them just as charming and well-designed as ever. They're smartly made action/stealth games driven by unusually good writing, and they star one of gaming's great woman characters, a super-spy named Cate Archer. Generally speaking, the sorts of big publishers that often wind up in possession of the rights to old PC games are more focused on new, big-budget console and PC games that they hope will make them millions of dollars. It's understandably not a priority for them to put in the time and effort to re-release an old PC game that a comparatively small audience will play. That makes independent outfits like Night Dive vital to video-game preservation—they're willing to put in the work, if they can just get permission. So when I learned that Night Dive, a company specifically dedicated to resuscitating classic PC games, had applied for a trademark on No One Lives Forever, I was psyched. Last week, Night Dive founder Stephen Kick and director of business development Larry Kuperman emailed me to let me know that while they had indeed planned to re-release No One Lives Forever and its sequel, they'd hit a wall and been forced to give up. Thanks to the ongoing inability and/or unwillingness of three publishers—Activision, 20th Century Fox, and in particular Warner Bros.—to determine who owned the game, Night Dive is currently abandoning its efforts to revive No One Lives Forever. "I've been working on [getting No One Lives Forever] since, probably a week after we got System Shock," Kick told me over the phone. Kick, a former character artist for Sony Online Entertainment, had worked out a deal to digitally re-release System Shock 2 in 2013. "I was like, 'Well, we got System Shock, so we gotta get No One Lives Forever.'" I asked Kick what his ideal re-release of NOLF might look like. "We had managed to get a hold of the source code for the first game and the second game. We had already created a laundry list of updates and enhancements and bug-fixes that we wanted to do to the original titles," he said. "So, essentially what we would've ended up with was a definitive version of both of those games. We were about to commit a large chunk of development time in making sure that No One Lives Forever 1 & 2 were 100% compatible with Windows 8 64, Linux, OSX, had a full complement of Steam features, achievements, working multiplayer, dedicated servers… this is our baby, and we really wanted to give it every chance that we could, to make sure that people would play it again, and enjoy it to its fullest extent." Kick told me that they'd "probably gotten overzealous" and had even created marketing materials for their re-release. "We had filed for Contract J.A.C.K., but we don't really consider that to be part of the franchise," Kick added, referencing the widely disliked 2003 spinoff. "So we were going to just leave that by the wayside." Good man. Before they could do all of that, however, Night Dive had to actually work out a deal with whoever could legally give them the right to proceed. And therein lies the rub. What follows is their account of what happened over the past year. It's frustrating and a bit convoluted, but it exposes a real problem faced by those who want to refurbish and re-release classic games. How can you do a licensing deal if no one even knows who controls the license in the first place? Night Dive's detective work began with tracking down and speaking with the game's original developer and publishers. That meant getting in touch with the three main players: Warner Bros., Activision, and 20th Century Fox. NOLF and its sequel were developed by Monolith, who are now owned by Warner Bros., under whom they released the acclaimed action game Shadow of Mordor just last year. NOLF was made using a framework called the LithTech engine, which is also now owned by Warner Bros. However, the first game was published by Fox Interactive, and there's a question of whether 20th Century Fox or even Activision might have partial rights to the series, due to Activision's 2008 merger with Vivendi, a separate media company that had acquired Fox Interactive in 2003. "The image I get is the end of Indiana Jones… somewhere in a box, maybe in the bowels of Activision." "So we went back to Activision and, [after] numerous correspondence going back and forth, they replied that they thought they might have some rights, but that any records predated digital storage. So we're talking about a contract in a box someplace." Kuperman laughed. "The image I get is the end of Indiana Jones… somewhere in a box, maybe in the bowels of Activision, maybe it was shipped off to Iron Mountain or somewhere. And they confessed, they didn't have [their] hands on it. And they weren't sure that they even had any of those rights." Kuperman said that in November 2014, several months after their trademark filing, they found out that Warner Bros. had filed for an extension in opposition to Night Dive's filing. "This isn't saying, oh [you] can't have the trademark," Kuperman explained, "it's just that they said, 'Well, we want more time to look over whether we have any potential objection.'" Meanwhile, Night Dive had been talking with Warner Bros. independently to try to get a deal nailed down. "We wanted Warner involved with this," Kuperman told me, "so we said, there's two ways we could work together. First, and our preference, is that we would do a licensed deal. We would pay them some amount of money up front to show that we're serious, and then we would give them a backend share of revenues. And if that didn't work for them, if they wanted to be the publisher of record, we'll still do the development and the optimization of the game, and instead of our giving them a backend share, [they] give us a backend share. In either case, it seemed to us that they were gonna be making money that they wouldn't have been making otherwise, with a minimum amount of effort. "We weren't meeting with a lot of enthusiasm. In fact, most of the phone calls were like, 'That'll probably never happen.'" "We weren't meeting with a lot of enthusiasm." During that time, they also checked in with 20th Century Fox, given that the original game was published by the now-defunct Fox Interactive label. As it turned out, Fox was in a similar situation to Activision. "They weren't sure if they had any ownership," Kick said. "They [said they] might or might not have physical records to support their position, and the location of those records was not determined. So if we wanted to do a deal that paid them enough as a kind of guarantee, they would look into their records to see if they had anything. And if it turned out they didn't have ownership, they would refund that up-front guarantee. We chose not to pursue this option [and] they said, basically, 'Fine, whatever.' But if somehow we ended up publishing the game and it turned out that they did have rights, they told us basically that we would be facing possible action from them." That's a typically frustrating development for this story, but not all that unusual. "I've never met a lawyer that doesn't end with, 'We're reserving the right for future action,'" Kuperman said. To sum up where things stood at this point, in the fall of 2014: Kick and Kuperman believed Warner had the strongest claim to No One Lives Forever, and were going back and forth with Warner Bros. business people to try to work out some sort of deal that would let them re-release the games. Meanwhile, they were covering their bases with Activision and Fox, but because neither company had a digital record of their rights (or lack of rights) to the series, neither could give them a definite answer on where they stood. Then, in December of 2014, Kuperman and Kick heard from a lawyer representing Warner Bros. Kuperman explained: "Steve [got] what I like to call, the legal term for it is a 'Scary Letter.' It comes from an attorney representing Warner Bros. and basically says they're aware of our filing for trademark, that they had contested that, and that if we went forward, specifically with a new version of No One Lives Forever, without doing a new deal with them, we would be infringing their rights and the hammer would fall." Kuperman and Kick immediately responded to the letter to let Warner's lawyer know that they had no intention of infringing on the copyright, and that they were already in touch with other people at Warner to discuss a possible licensing deal. "I spoke with their attorney and their attorney said, well gee, he didn't know anything about the games negotiation part of it," Kuperman said, "but if I was interested in licensing, if this was something that we were interested in, he would talk to one of his contacts in the licensing area to see if he could help us. So we kinda went from a 'Scary Letter' to 'Hey, give me a couple weeks and I'll see if I can't help you guys.'" Their hope was short-lived. In early February, Kuperman and Kick got a definitive answer from Warner: No. "They come back with a response that said they're not looking to either publish the game themselves at this time, or to partner with us," Kuperman said. "Those options, they're not going to accept either one of them. So basically, we're back to square one." "As frustrating as this was, " Kuperman emphasized to me, "most of the people were good people. They're people that have other things on their agenda, they were honest, I won't say necessarily that they all tried to help us, but they were at least reasonable in terms of talking to us. "It's still unclear to me," he said, "with all the people that we dealt with, there wasn't anyone at either Warner Bros., Activision, or 20th Century Fox who said, 'Here's a copy of the contract that we have, and as you can see, we own all rights.' We don't know of any… we didn't see any of that documentation. And probably, without going to court, we never will." The people at Night Dive have ceased their attempts to re-release No One Lives Forever. They now control the trademark, but without a game to use it on, they're going to let it lapse. No One Lives Forever will remain unavailable on digital stores, and modern gamers who want to play the games will have to either track down scarce physical copies or resort to illegally torrenting them. Representatives for Warner Bros., Activision, and Fox could not comment by press time. It's easy to say that "the ball is in their court," but, maddeningly, it still remains unclear whose court we're even talking about. Warner Bros.? Seems most likely. Activision or even Fox? Less likely, but still possible. At the very least, it's down to someone at one of those companies to determine that they do in fact have rights to No One Lives Forever, and to decide that they're willing to allow the series to be made available for purchase once more. "It would be a great victory to see the game done," Kuperman said. "If it is done it would probably be done without us, but we just want to put it out there that we're still willing to help if that's something that they might consider." As disappointing as this all is, I have a hard time believing that No One Lives Forever will remain unclaimed for… what? Forever? I understand that re-releasing early-2000s PC games isn't a top priority for publishers focused on multi-million dollar blockbusters, but even so, it just doesn't seem like things should end here. Cate Archer's adventures are too good to simply fade into obscurity.